Pizza Trolley Catering... We Come to You! We’d love to cater your next event. From 40 to 4000, our world famous pizza trollies are available to make your event fantastic! What Are You Waiting For... Let's Eat! 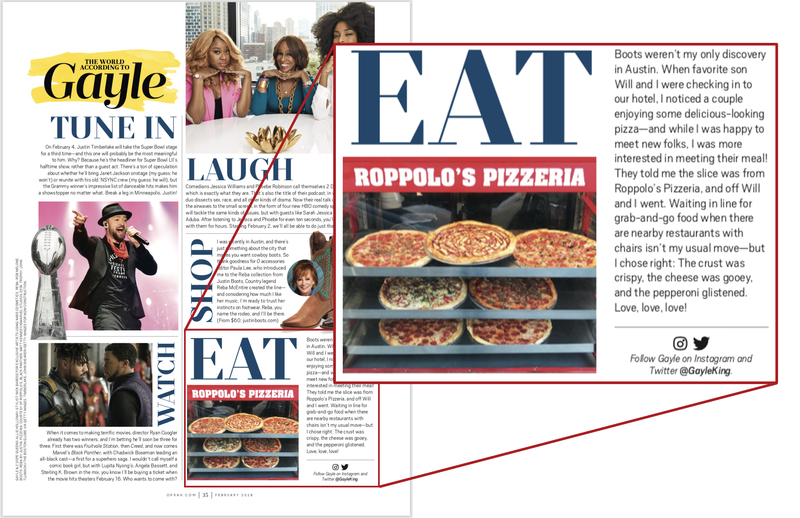 From our early beginnings in New York City, Roppolo’s has become recognized across the country as one of the best pizzerias. You won’t be disappointed, so stop by and let’s eat! At Da Vinci’s Pub inside Roppolo’s, we’ve extended our happy hour. In fact we’ve decided to make all day Monday and Tuesday really happy! That’s right, Happy Hour now runs through lunch and dinner on Monday and Tuesday. So grab a cold one from Da Vinci’s Pub and a slice of pizza from Roppolo’s and enjoy your meal. Our Party Rooms Are Waiting! From business meetings to social gatherings, your guests will love our incredibly delicious Italian food and outstanding customer service. Book your private event with us. From our early days in New York City, we learned that only the freshest daily ingredients make the very best authentic Sicilian Pizza. We’d love to cater your next event. From 40 to 4000, our world famous pizza trollies are available to make your event fantastic. Hungry for pizza, just place your order online and sit tight. We love to deliver the very best pizza to your door. It’s a great way to enjoy our pies. Nestled in the back of Roppolo’s we’ve added our new, cozy pub. Come on in and enjoy from our premiere selection of red, white, or sparkling wine any day of the week. The service you experience at Roppolo’s, whether dining at one of our locations or enjoying a catered event or private party will be outstanding. That’s our promise! If you live in the 78701 zip code receive 20% off your food order. All day, everyday. Just present your ID at time of purchase. Every Sunday, Kids Eat Free! 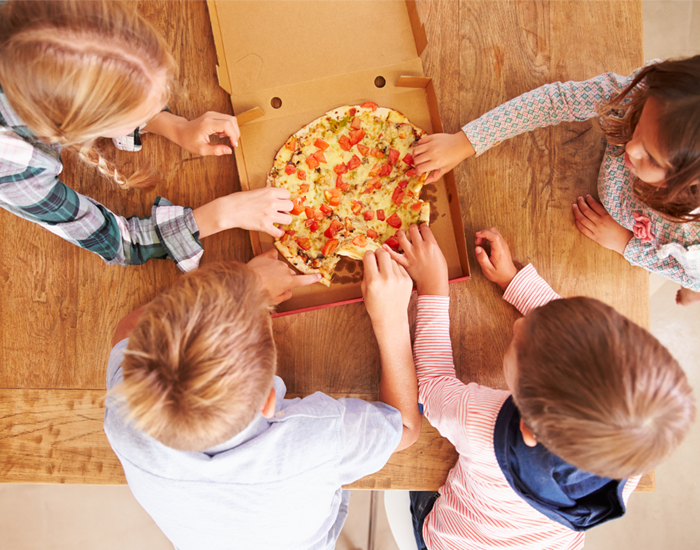 Because we understand that children make the world go round, we’ve decided that every Sunday we will be giving our customers’ children a free meal! Bring the family in and come dine with us as we take great pride in being family oriented. Just like Mama Rosalie’s Sunday Meals we hold close to our heart, we will continue to carry on the loving tradition. #1 Best Pizza in Texas! #16 Best Pizza in the Nation! We are greatly honored to receive recognition from Yahoo.com as being recognized as the best pizzeria in all of Texas and the 16# best pizza in the Nation. Our commitment to the freshest ingredients, the traditional cooking methods that we refuse to alter has allowed us to flourish of Austin’s favorite pizzeria for more than 25 years. Thank you to all our loyal customers and here’s to another 25 more years! Is there ever! Come on by after work anytime from 5 to 7 p.m. to enjoy our fresh, made-from-scratch pizza and a cold drink. Plus enjoy all day Monday & Tuesday Happy Hour as well. We’d love to have you. Can I host my party or event? Absolutely, we’d love to have you! 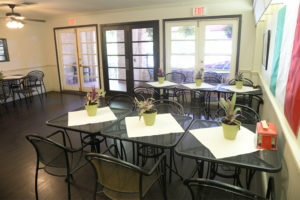 Roppolo’s has 2 decks and 3 private rooms for any party or event. Did we mention it comes with an awesome 40 square foot projection screen on the patio and a 73″ screen television? Roppolo’s Pizzeria has given $10,000.00’s of dollars to several non-profits over the last 12 months, including Austin’s University High School, the Center for Missing Children, the Food Bank of Texas, the Autism Society and much more! 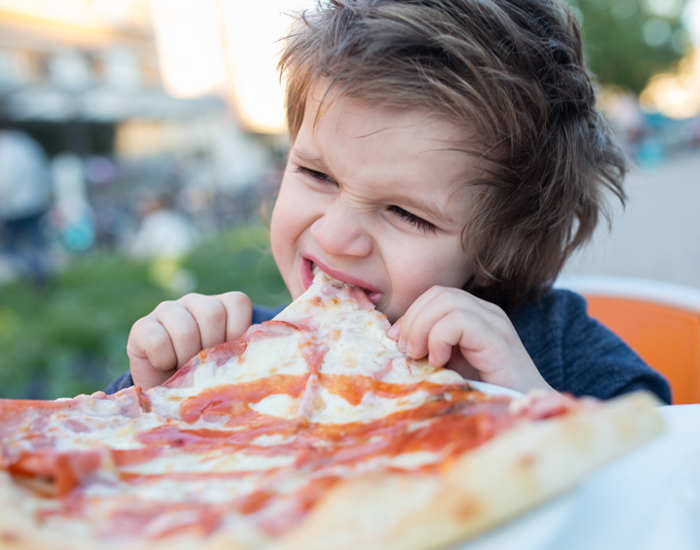 Who else can say they’re helping a good cause as they eat a delicious slice of pizza? Roppolo’s Pizzeria is the BEST! Amazing pizza only outmatched by their gleeful, endlessly positive staff and management (Natalie’s wonderful! )…left with a full stomach and a full heart. Will definitely be by again! Affordable too. The ultimate way to end a night on sixth street is a slice (or two) of Roppolo’s pizza. Fast service, delicious food and courteous staff makes this a “must” every time I visit downtown. I don’t always eat pizza, but when i do really enjoy Roppolo’s. I was very impressed with this pizza. I wasn’t expecting Texas to have a go to pizza place like this but grab one and you won’t be disappointed! Big portion size slice as well! My mushroom and pepperoni was so good and it also had a garlicky crust!! MmmMmm! What are you waiting for? Get a bite of our famous pizza today! Walk through our doors and be greeted with an abundant display of our award-winning Sicilian-style pizzas served to you with the genuine Italian warmth we’re famous for. Stroll back to our beautiful Mediterranean patio and deck for a dine-in experience reminiscent of an Italian village cafe. Whether you’re dining in or ordering out, the Roppolo’s Italian Experience is delicioso!